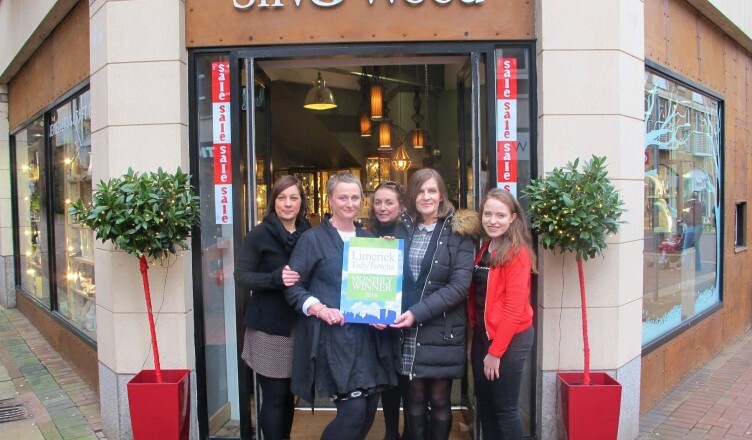 Congratulations to Silverwood Jewellers and Craft Gallery at 32b Cruises Street on winning our first Limerick Tidy Towns monthly award for 2016 for consistently maintaining its highly attractive shop exterior on a prominent double-fronted corner unit on Limerick’s busiest pedestrianised retail thoroughfare. Pictured outside the unit being presented with the award by Maura of Limerick Tidy Towns is the shop owner Paula Maher, Elaine O’Dwyer Store Manager and other staff members Denise Reddan and Roísín ní Chύimín. From our perspective, Silverwood Jewellery stands out as easily the most attractive retail unit on Cruises Street, one of Limerick’s busiest pedestrianised streets, and as such is a great asset to the street environment as a whole. The unit shines amidst an array of modern shop frontages not only due to its distinctive exterior cladding, beautiful signage, spotless paintwork and windows, but also because Paula and the staff clearly take pride in how the store looks and the beautifully lit bay trees at the entrance are a lovely additional welcoming feature. The unit looked particularly well at Christmas, which is what made it an easy choice for the Tidy Towns team first monthly award of the year. Silverwood’s beautiful exterior is matched only by the quality of the product it sells, with all its jewellery carrying the Irish Hallmarked Silver Stamp of Quality presented in luxurious gift boxes. They also stock a wide variety of other products and accessories, including its unique bridal range, and the Craft Gallery hosts an array of wonderful sculptures and work by Irish artists. Silverwood’s staff pride themselves on their excellent customer service and to add to their success, they are opening a new goldsmiths’ workshop in Mullany’s old sweet shop on Little Catherine Street in mid-February. For more information on Silverwood’s extensive range of products, please visit their website www.silverwoodjewellery.com, call them on 061 415973 or simply call in to their lovely welcoming shop on Cruises Street. 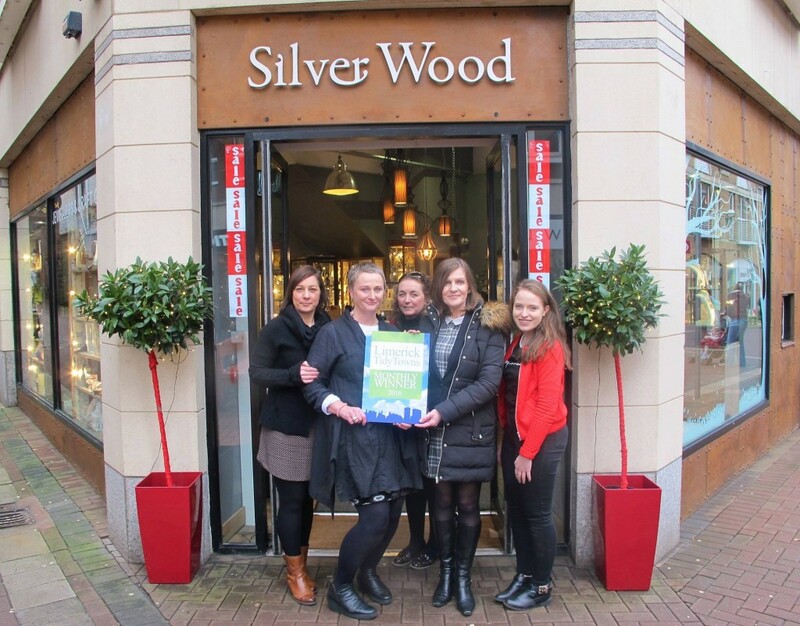 Silverwood Jewellery is the first Limerick Tidy Towns monthly award winner for 2016 and going forward, if members of the public wish to suggest future monthly winners in 2016 which they feel merit the award, please do let us know. An overall winner for 2015 will also be chosen over the coming weeks, and this will be open to the public to vote for their favourite out of all eleven winners, with an awards ceremony to follow to which all monthly winners will be invited – watch this space for details on how to vote! Limerick Tidy Towns would like to thank Sarah Hayes of I Love Limerick for taking the photographs for this and all of our monthly awards.